Happy Friday Lovelies! I'm so ready for the weekend! I just want to snuggle down with a book, maybe tan a bit, and get to work on some DIYs on my list! Check out what I'm lusting over this week! First, I'm obsessed with the Ombre Look! It seems to be everywhere! Doesn't this DIY by StyleScrapbook look amazing! I need to get my hands on a new denim shirt and get to work! I'm still utterly in love with denim everything. Next on my list of things to add to my wardrobe is a denim vest! They are so fun and you can wear them with a dress, romper, skirt, etc, etc! So versatile! 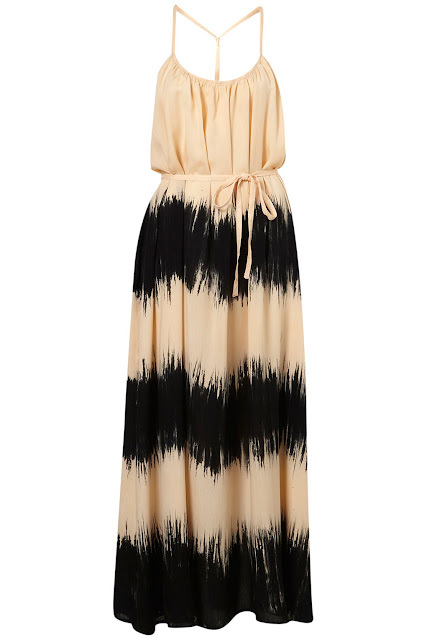 Next, I'm lusting over this tie-dye maxi! I'm sensing a pattern for this post! First ombre now tie-dye. Isn't this dress fab?! Finally, I'm on the lookout for some fun nail colors! I'm a total newbie when it comes to polishes! What are your go-to brands and fave colors right now?! I hope y'all have an amazing weekend! Anyone have some fun plans?! You can get 10% your purchase at Shabby Apple with the code: oliveandanarrow10off! I'm with you, I love denim everything. Especially, the ombré denim. And that tie-die dress is perfect too! Love it! Have a great weekend! I too am on the lookout for a denim vest. Those Essie colors are great. Sometimes I'll buy NYC brand polish because it's only 99 cents..score! Have a great weekend, Giovanna! I am just loving that maxi dress and Essie is always reliable win it comes to polishes, but Sinful Colors is a equal, but cheaper alternative! Happy Friday My Love! A perfect color spectrum for spring. LOVE that dress! The perfect color spectrum for spring! I heart those pretty nail colours! The first ombre denim shirt is pretty nifty, i like the effect. The tie-dye maxi is a beautiful piece. Have a great weekend ! LOVE that first shirt and those Essie colors! I'm into the exact same things right now. I really really want a denim vest. They look so great with everything! That maxi is absolutely gorgeous! Hope you have a fabulous weekend. Essie Haute as Hello and Tart Deco are two of my favorite polishes and so perfect for spring, but I also love China Glaze (Refresh-mint and Four Leaf Clover are amazing), and if you can find a bottle of China Glaze For Audrey, it is the perfect robin's egg blue! i think dip dying your sleeves in bleach would be another great DIY! love that first photo. oh, i just adore that maxi dress. so cute! i think i need that for my italy trip in june. xoxo. I'm loving denim at the moment too! thank you for visiting ldotcdot! LOVE that shirt a lot! Great post! Denim with ombre sleeves? My two favorite trends in one! Perfect. That maxi is amazing! I hope it'll be warm enough for me to sit in the park with a good book this weekend! I'm really wanting a denim vest also! They are so cute! Ahh awesome ombre denim top! I want to try it! cutest post ever! love the maxi dress. hope you have an amazing day and thanks for your comment. ombre just looks so cool. love it too! ooh i love what you did with the denimn jacket!! and ilove the nail polish! I am loving the maxi! and those essie nailpolish..
Oh man, soooo want to try an ombre DIY like that on my denim shirt! Love this shirt!! I have to try it! I love this trend!! 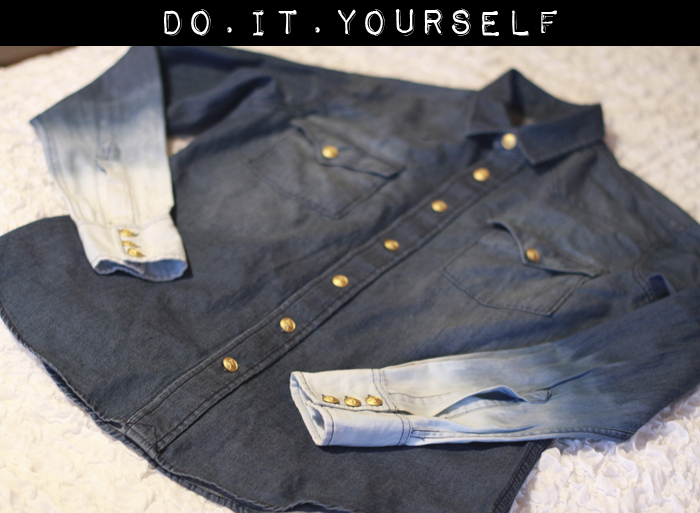 Loving ombre denim, & that DIY looks great! I have a bright orange essie polish on right now! Love the ombre and all of those new Essie colors! Nice pics, I love the nailpolishes! Thanks for the tip!I love that shirt! I love LOVE your blog so much!!! i also really want a denim vest! The tie-dye maxi is awesome. Loving all of these pieces, and the nail polish colors are gorgeous! I love Essie, OPI and Chanel for polish! My collection has grown so much in the past few years. I've become such a polish hoarder! I'm in love with that maxy dress! That green Essie polish looks like a lot of fun! I'm also crushing on the maxi. Even though it's tie-dye, it's pretty subtle. definitely know what you mean! I am also loving the recent celeb looks of denim vest paired with a maxi! Hope you are having a wonderful day! the the dye is so fun...so is the polish!! that maxi is stunning love love love it too! Wonderful Friday Faves. I so love that maxi dress. 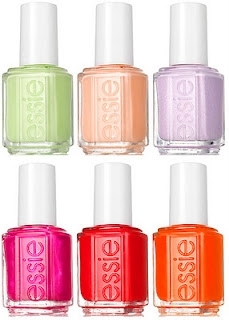 Liz and I are obsessed with with Essie--and I can't wait to try my hand at DIY ombre-ing a maxi dress. I love your blog I'm your new follower via google friend connect hope you can follow back so we can keep in touch! I've been wanting to get my hands into some DIYs now. The denim shirt looks like a nice idea. I love the bleached item! awesome images! thanks for sharing them! I think I need to try out the DIY, thanks for sharing! We have a very similar wish list. Mine includes major Essie as well! So funny - I've been talking about a denim vest for weeks. I can't get down with the jean jacket, but give me a vest and I'M IN!! !